Lahore: Microsoft Devices Pakistan announced the availability of Nokia 215 Dual SIM, its most affordable Internet-ready phone, in the country. The Nokia 215 Dual SIM is designed to connect and introduce first-time mobile phone buyers to the Internet and new digital experiences. The Nokia 215 Dual SIM will expand the reach of Microsoft services at more affordable prices. 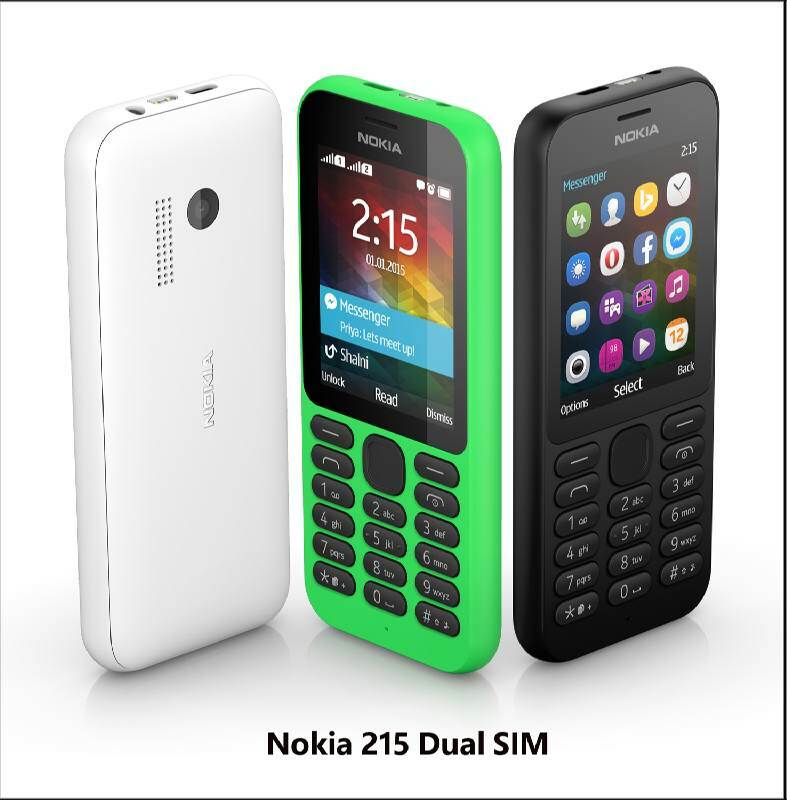 Nokia 215 Dual SIM will allow more people to access popular Web content and digital services, and enable them to enjoy online experiences via Opera Mini browser, Bing search, MSN Weather, Twitter and Facebook. People can stay in touch with friends and family using Facebook and Messenger with instant notifications. With SLAM, people can share content between devices and make hands-free calls using Bluetooth 3.0. With a fresh design, durable quality and outstanding battery life, this entry-level mobile phone is an owner’s delight. It has all the essentials for a mobile-first world such as built-in torchlight, up to 20 hours of talk-time, outstanding battery life (up to 21 days for the Dual SIM), MP3 playback of up to 50 hours, FM radio playback of up to 45 hours and a VGA camera. The Nokia 215 Dual SIM comes in Bright Green, Black and White, and will be available for an estimated retail price of PKR 4,100/-.